Our foregone show at Night & Day Café in January proved to not only be a showcase, but a packed-out celebration of the unsung heroes keeping Manchester’s underground urban music scene bubbling hot. An independent, bustling venue hosting independent local talent is the foundation that keeps the scene alive, and a foundation Beeswaxx intends to continually support. 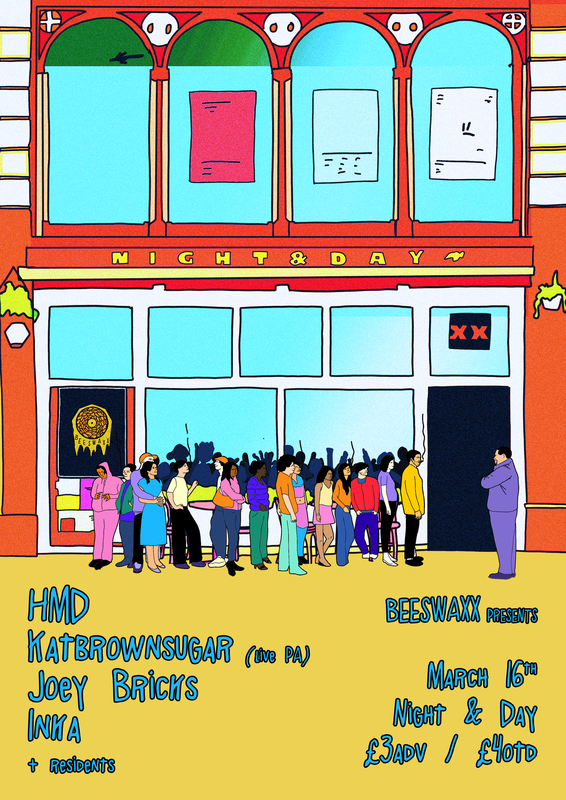 On 16th March, Beeswaxx keeps the wheel in full motion with another night scratching the surface of this hotbed of talent erupting from the city. Expect live PA’s, visuals and DJ-sets throughout the night with party vibes from the get-go til curfew! We’ll keep the price to a minimum and the energy to a maximum so don’t sleep on this one!